Discovering a pregnancy can be great news and an elusive moment for any woman. The fact of being a new life causes many women to change their attitude, putting health first and rethinking about daily habits that may or may not affect the baby. When it comes to starting medical appointments, it is worth asking the professionals the details on what should be avoided during the gestation months. While some women will have to leave some common habits aside, others may take advantage of the pregnancy without making too many changes in the routine. For the most worried moms, weve separated a list of 15 things that should be avoided during pregnancy . Check out. Self-medication is dangerous for anyone, be it a pregnant woman or not. Even non-prescription medicines can cause serious side effects and allergic reactions. For pregnant women, there are medicines that contain substances that can be harmful to the formation of the fetus. When in doubt, be sure to consult your doctor to find out what types of painkillers you can take during pregnancy. Ask for a list of the top medicines to avoid and be aware of possible side effects and contraindications. Although the belly takes a few months to appear and to cause discomfort, some symptoms such as back pain can already be felt from the first few months. Wearing tight, uncomfortable trousers can harm the baby and also cause problems in the daily ride. From the beginning of pregnancy, you get used to more comfortable clothing such as pants that fit on the body and blouses that do not tighten the belly. If you choose clothing well, you can wear stylish and comfortable clothes at the same time on a daily basis. One of the first things pregnant women usually do is look for a health plan contract . The service becomes indispensable during gestation, since it is the best way to do prenatal care with physical and financial tranquility. In addition, the plans allow you to register the baby for free , providing the same benefits as the mother. The baby should be included in the mothers plan within 30 days of birth. In case the mother does not have a health plan, it is also possible to register the child in the insurance of the father. The baby receives the same benefits at no extra cost and does not have to go through grace period, unless the holder has not yet fulfilled. Many women end up not reporting to the doctor everything they pass or feel for judging are common pregnancy symptoms. No matter how obvious it may seem, be sure to tell the doctor what parts of your body you feel, what your daily difficulties are, and what kinds of symptoms have appeared in the last few days. This type of information helps you have a better control of the effects of pregnancy . In addition, you may receive good advice or indication of appropriate remedies to alleviate some of the routine symptoms. For women who often draw their hair extensively, it is best to avoid this practice during pregnancy. Although there is no research proving that hair dye is actually harmful to the fetus, the body ends up absorbing some of the chemistry through the scalp. Some doctors recommend that women do not paint their hair during the first three months of gestation, as it is a more delicate period. For others, it is best not to paint throughout the pregnancy to avoid possible risks to the baby, even if there is no concrete evidence. During pregnancy, the performance of the immune system is not so good, which makes it necessary to take some major care with food. Avoid eating raw meat as there is a chance the food will contain the salmonella bacteria and cause food poisoning, which can impair pregnancy. Although basic hygiene care should be taken at any stage of life, pregnancy is a time when food becomes even more sensitive. Wash hands well before meals and before cooking, thoroughly wash vegetables and vegetables before preparing food. Avoid eating any food without knowing the preparation conditions. With the growth of the belly, the imbalance becomes greater and the chances of falling as well. The more difficult it becomes for women to move, the better it is to take actions that facilitate safe travel and reduce the risk of falls that can create a serious problem during pregnancy. Avoid high heels for walking more easily and firmly. Also avoid climbing stairs, especially in narrow places or that may have suspended steps. In the last months of gestation, it is best to always walk with someone and use more elevators. 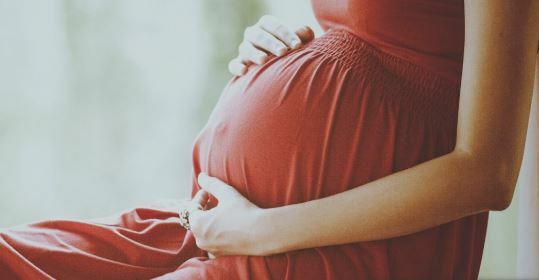 Although it seems obvious that smoking and drinking are prohibited during pregnancy, this rule is not easily obeyed by women who are accustomed to smoking and casual drinking. Especially for smokers, spending nine months away from cigarettes can be a big challenge to be overcome. There are women who think that there is no problem in smoking a little or drinking moderately, which leads to dangerous attitudes during pregnancy. Stay well away from drinks, even if its just a dose, and avoid close contact with smokers in case you are a cigarette user. Physical activity during pregnancy is important, it can facilitate movement, reduce symptoms and allow the woman to feel more comfortable with the weight of the belly. However, there are women who can not do physical activity for a variety of reasons and during pregnancy, the exercises also gain specific rules. Consult your doctor about the possibility and receive indications of activities that can be done in a moderate way, such as walking and water aerobics. However, take care of any discomfort during the exercises and report immediately to the doctor. The same orientation on physical activity also holds for weights. Perhaps female athletes can carry more weight during pregnancy, however, it is critical that there is medical guidance. If you are not used to weights, avoid this type of exercise during pregnancy. On a daily basis, also avoid carrying weight, especially if you are already pregnant at a later stage. Ask your doctor what can and can not be loaded and avoid doing more intense and tiring domestic activities. When performing an x-ray, whether dental or doctors guidance, the body is exposed to a quantity of radiation that can be very harmful to the development of the baby. Thus, only in cases of extreme urgency should the test be performed. Depending on the procedure, some radiographs work with light radiation levels, not putting the baby at risk. But just in case, the ideal is to talk to the obstetrician and postpone the examination after gestation. There are many vaccines, so not all are necessarily harmful to the baby, such as yellow fever, hepatitis, whooping cough, HPV, polio, among others. But while there are indicated vaccines, there are also contraindications. BCG, MMR, mumps and measles vaccines are prohibited for pregnant women. The reason for the contraindication of these vaccines is in their composition, which has a live virus, which can lead to poor formation of the baby or, in more serious cases, abortion. Therefore, it is necessary that the doubts about vaccines be clarified with the doctors. You do not have to stop completely from eating caffeinated foods. Only more attention and moderation in consumption is needed. After all, a coffee to keep awake or even a chocolate with dessert from time to time do not hurt. It is recommended not to exceed 200 mg per day , this gives about three espresso coffees. Excessive caffeine consumption increases the risk of miscarriage or underweight birth. Attention to medicines that also have caffeine in their composition. Donating blood during pregnancy is something that should not be considered in any way. During pregnancy, some changes occur in the womans blood that lead to a physiological anemia. This is because the mothers nutrients should also be sent to the baby . A pregnant donating blood can lead to more severe anemia and lack of nutrients for both her and the baby. Therefore, to do good and donate blood, just wait for the period after gestation. It is not recommended to have tattoos in the gestation period for two reasons: the lower immunity in pregnancy and, in addition, the skin stretches a lot, risking the tattoo to deform after delivery, when the skin returns to the natural. But apart from these two reasons, there are several elements that make up the tattoo ink. With so many changes occurring in the womans body, it is worth not venturing to expose the body to so many elements like this.